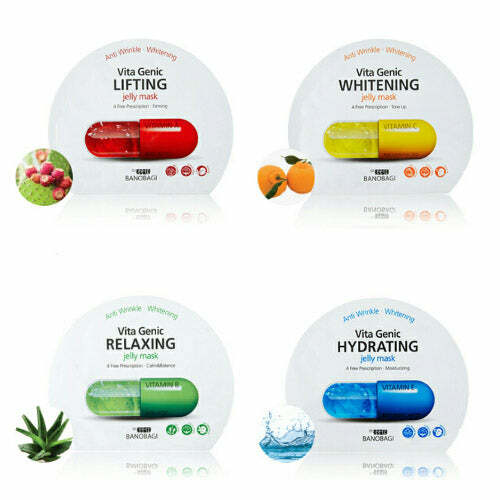 - Vitamin combine concentrate 20,000ppm with high absorption. - All ingredient liposome in one sheet mask to give esthetic effect. - Jelly texture gives non dripping perfect absorption on the skin. - No chemicals, natural ingredients and 100% pure cotton sheets. - Rich moisture jelly texture jelly mask sheet. - Jeju baeknyuncho gives firm elastic skin care. - Baeknyuncho extract gives anti aging and antioxidant effect. - Jeju hanrabong gives blemishes and dull skin clear bright care. - Rich vitamin C hanrabong. - High moisture Jeju water gives dry skin quick moisture with soft hydrated skin. - Clean Jeju oxygen water effective on dry skin. - High soothing effect Jeju aloe vera extract sooth irritated sensitive skin. - Specially aloe is effective ingredient on sensitive skin. 1.After face wash use toner and place mask on the face. 2.Remove after 10~20 minutes and tap excess amount for absorption.